Sam Jay is an Emmy Nominated Writer for SNL and frequently appears in sketches. In 2018, she was named one of Variety’s 10 Comics to Watch for 2018. Sam made her Netflix debut on The Comedy Lineup and released her album Donna’s Daughter through Comedy Central Records. This year Sam wrote for The 70th Primetime Emmy Awards and the MTV Movie & TV Awards. Sam’s 2018 TV credits include a recurring role on TV Land’s Nobodies and a guest star in Season 5 of Comedy Central’s Broad City. Sam was a standout of the 2017 Just For Laughs: New Faces. She was the host of Ricking Morty, the Rick and Morty post-show on Adult Swim and she was a cast member of MTV’s SafeWord. 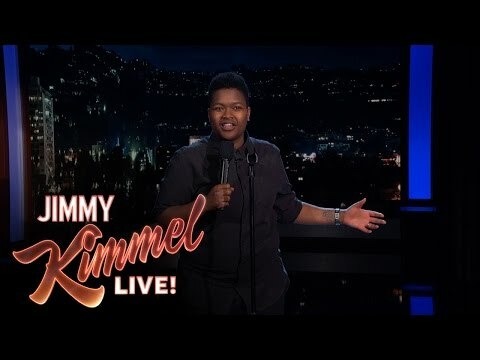 Sam made her late night television debut on ABC’s Late Night with Jimmy Kimmel and her half-hour stand-up Comedy Central Presents premiered in 2017 to rave reviews. Sam was named as one of the Comedy Central Comics To Watch in 2015, and has since performed internationally at comedy clubs and festivals including the Vodafone Dublin Comedy Festival, Bumbershoot Festival, 208 Comedy Festival, New York Comedy Festival, Portland’s Bridgetown Festival, The Laugh Your Asheville Off Comedy Festival and Boston’s Women In Comedy Festival.